2018 Ganesh Chaturthi or Vinayaka Chaturthi Festival is one of the most popular Hindu festivals celebrated in India. Also known as Vinayaka Chavithi, Ganesha Chaturthi is celebrated as the birthday of Lord Ganesh, and is observed in the month of Bhaadrapada. Vinayaka Chaturthi celebrations starts on the Shukla Chaturthi (fourth day of the waxing moon period) and lasts for 10 days and ends on Anant Chaturdashi. The date of Ganesh Chaturthi Festival 2018 is on 13 September. The elephant-headed Ganesha, considered as the supreme God of Wisdom, is worshipped for prosperity and good fortune. Lord Ganesh is the 'remover of obstacles' and therefore he is called 'Vigneswar'. His vehicle is Mooshak (rat). Lord Ganesha, who is the son of Lord Shiva and Goddess Parvati, is believed to grant his presence on the earth on the auspicious occasion of Pillayar Chaturthi. The date of Vinayaka Chaturthi 2018 is 13 September, Thursday. Though Vinayaka Chaturthi festival is celebrated throughout India, it is celebrated in a grand scale in Maharashtra, Goa, Gujarat, Karnataka, Tamil Nadu and Andhra Pradesh. Besides, Newars in Nepal and Tamil Hindus in Sri Lanka also celebrate Ganesha Chaturthi in a grand manner. It is not advisable to look at the moon on the Ganesh Chaturthi day. There is a legend behind this. 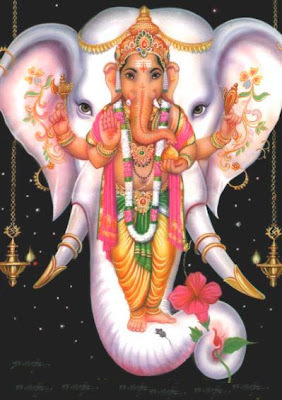 Lord Ganesh, on one of his birthdays, consumed a number of sweets and started to move on his mouse. All of a sudden, the mouse got scared at a snake and so it slipped. Due to this, Ganesh who was on the mouse also fell down. His stomach burst out and the sweets came out. However, the Lord managed to fill the sweets again into his stomach. He caught the snake and tied around his belly. The moon (Lord Chandra), who was noticing all these, started laughing. The annoyed Lord pulled out one of his trunks and threw it against the moon. Ganesha cursed that no one should look at the moon on his birthday and if anyone does he will be punished with bad name or dishonor.